Kimchi and Chips is a Seoul based art studio founded by Elliot Woods (UK) and Mimi Son (South Korea). They are known for discovering novel interactions involving people and media materials, discovering new technical and artistic paradigms. 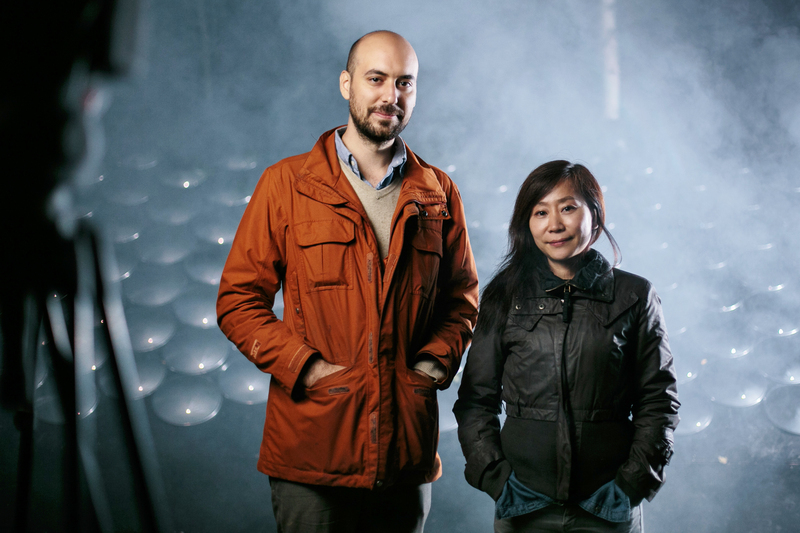 They formed in 2009 to combine the disciplines of code, form, material, concept and mechanism. Their installations and dialogues have been exhibited on four continents. Elliot Woods and Mimi Son create an emulsion of imagined reality within our physical world, in order to develop natural interactions between people, nature and the possibilities of the digital network.